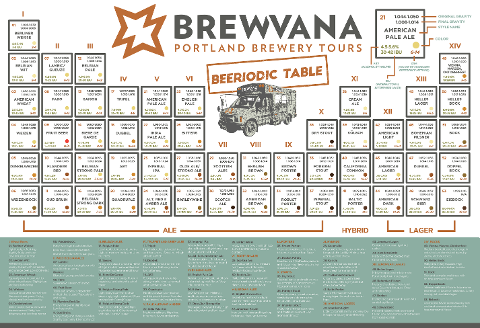 BREWVANA presents a Beeriodic Table Poster with the specific BJCP style guidelines that includes all of your favorite beer categories and the official IBU, OG, TG, ABV and SRM ranges for each beer style and provides an example. 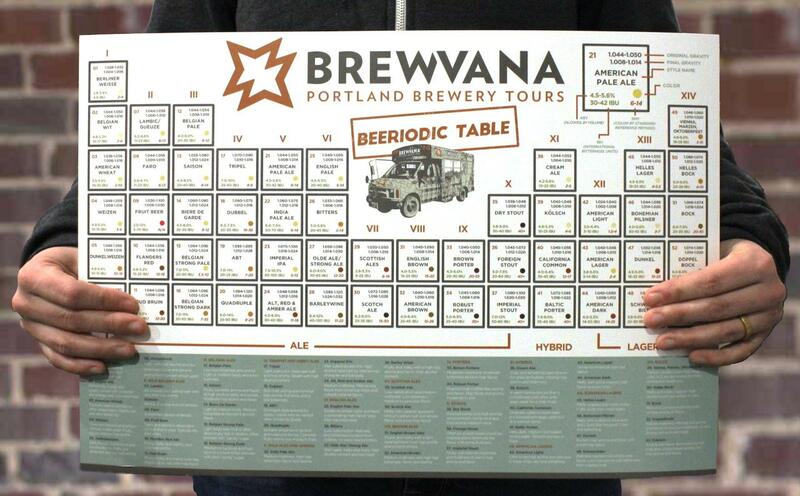 Cheers to craft beer! 13'' x 19''.